Tamiami is a well-known community on the west side of Miami. The unusual name is a contraction of the cities at both ends of Tamiami Trail – Tampa and Miami. The Tamiami Trail runs about 275 miles and connects Miami to Tampa. The Tamiami Accident Attorneys and Tamiami Trail Injury Lawyers at the Wolfson Law Firm have helped personal injury clients in Tamiami and Miami for over 60 years and are ready to help you right now. Call us today at (305) 285-1115 for a free consultation today and let us tell you how we can help you and your family. Tamiami is located west of Miami International Airport. It has over 55,000 residents and 94% are Hispanic. Neighboring communities include Flagami (which is a contraction of Flagler and Tamiami) Blue Lagoon, Grapeland Heights, West Flagler, Fontainebleau, West Miami and West Flagler. The main street in Tamiami is SW 8th Street which is also known as Calle Ocho in Little Havana. 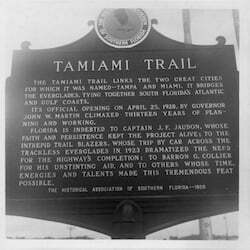 At the western end of Miami, SW 8th Street becomes The Tamiami Trail which continues across the Everglades to the west coast of Florida. There it turns north and runs up to Tampa. Other main roads in the Tamiami community include Bird Road (SW 40th Street); Nw 12 Street and SW 117 Avenue. Tamiami has the 7th largest population in the US of Cuban Americans. Approximately 56% of Tamiami claims Cuba as their place of birth. Other nationalities represented in Tamiami include Colombians, Dominican Republicans, and Venezuelans. The zip codes for Flagami are 33175, 33182, and 33184. Car accidents happened frequently in the Tamiami neighborhood. The volume of traffic on SW 8th Street alone makes the likelihood of car accident, motorcycle accidents, truck accidents and pedestrian accidents very high. The streets are loaded with automobiles, truckers, motorcycles and Uber/Lyft drivers. It can be a very difficult process to get your medical bills paid and lost wages returned if you are involved in a Tamiami car accident. That is where the Tamiami Car Accident Attorneys at the Wolfson Law Firm can assist you and your family. We have been helping people injured by negligent drivers since 1963. The Tamiami Trail Car Accident Lawyers can help you immediately. We will investigate the facts of your car accident; locate the applicable insurance; gather proof of your medical expenses and the documentation of any loss of wages. Our Miami personal injury attorneys serving Tamiami will communicate with the insurance company so you can concentrate on trying to recover from your injuries. If we cannot resolve your case, then our Tamiami Lawsuit and Litigation Attorneys can and will file a lawsuit on your behalf. We will go to Court for you and your family. Our Tamiami Trail Personal Injury Lawyers will aggressively represent your interests against the responsible company, corporation, driver or car owner. If you slip and fall in a store like Walmart, Marshall’s or Publix or any retail store and you are injured, then you may be entitled to financial compensation depending on the facts of your case. The investigation of a slip and fall can be complicated. Our Tamiami Slip or Trip and Fall Lawyers can tell you things you should know about a slip and fall in Miami. The Tamiami Slip and Fall Attorneys at the Wolfson Law Firm can explain in greater detail when you call for a free consultation today at (305) 285-1115. The injuries you could suffer in a slip and fall can be traumatic. If you fall on public property certain requirements and laws are applicable that are different from slip and falls on private property. In general, retail store owners are supposed to maintaintheir stores in a clean and safe condition, but there can be excuses and exceptions. Our Tamiami Slip and Fall Lawyers will tell you what to do after a slip and fall accident and can answer all your concerns and will always keep you advised. If you are injured in a slip and fall in a mall, strip shopping center, retail store or supermarket in Tamiami, you may be entitled to recover financial compensation for your harms and losses including pain and suffering, lost wages and medical expenses. The same laws apply to a trip and fall or some other type of premises liability where you are injured due to the negligence of another such as negligent security or merchandise that falls on a customer. The Tamiami Slip and Fall Attorneys can help to make certain that a proper investigation is completed, that the necessary experts are retained and the at-fault party is held responsible. The Tamiami Trail Personal Injury Lawyers assist clients in all aspects of wrongful death cases and personal injury cases including motor vehicle accidents, truck accidents, pedestrian accidents, motorcycle accidents, slip and fall, premises liability and wrongful death. Do I need to be a US citizen to have a personal injury claim? Do I have to be a citizen of the United States to file a personal injury lawsuit? The short answer to those questions is no – the American system of justice is available to protect everyone. There is no requirement that a personal injury victim must be a citizen of the United States. Likewise, you do not need to be a citizen to file a lawsuit. The Tamiami Accident Injury Attorneys have proudly represented good people from Colombia, Nicaragua, Cuba, Venezuela, Brazil and many more countries. It is understandable that some clients can be concerned about a language barrier with their personal injury attorney. Our Tamiami Personal Injury Accident Lawyer Jonah Wolfson is a bilingual personal injury attorney in Miami. See him speak right now on a variety of topics on the Wolfson Law Firm’s Spanish website or you can call him immediately at (305) 285-1115. Jonah Wolfson and his staff habla Español. At Wolfson Law Firm, our Tamiami Accident Attorneys can represent you in your pursuit of financial compensation and true justice from the responsible individual, vehicle driver, retail store or supermarket, restaurant or public entity that caused your personal injury. Please feel free to check our recent cases and our qualifications. Call us at 305-285-1115 to set up a free consultation with a Tamiami Personal Injury Lawyer today. 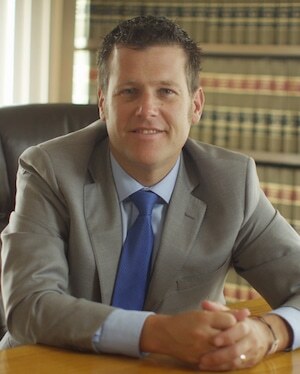 The Wolfson Law Firm also represents personal injury and wrongful death victims in Flagler Heights, Miracle Mile, Fontainebleau, Miami International Airport (MIA), Coral Way, Little Havana, Flagami, Allapattah, Fontainebleau, The Roads, Miami Beach, Kendall, Shenandoah, The Hammocks, Westchester, Hollywood, Miami Gardens and other cities throughout South Florida.